The Tidings of August: Summer is starting to give way to autumn, but not to worry: there are sure to be plenty more bursts of sunshine to enjoy this month! As always, we’ve been enthusiastically tracking down the best events, products, getaways and general news that Ireland’s holistic scene has to offer. Read on to learn more about the highlights we’ve picked out for you for this month. If you haven’t picked up our Summer 2018 issue yet, make sure you call into one of our stockists throughout the country soon. You can also subscribe here to get a copy delivered right to your door. Chi Fit Tea is an Irish company with a passion for high-quality, energising tea. They named the company after the Chinese word ‘Chi’, or ‘energy’, to emphasise the origin and heritage of their ingredients. When the founders felt that green tea, oolong tea and pu’erh tea were a little too bitter for them, they set out to create their own unique blend. They did this by blending a specific variety of powerful teas and spending months perfecting this blend until they were happy with the taste. They then set about finding an amazing organic tea producer in China. 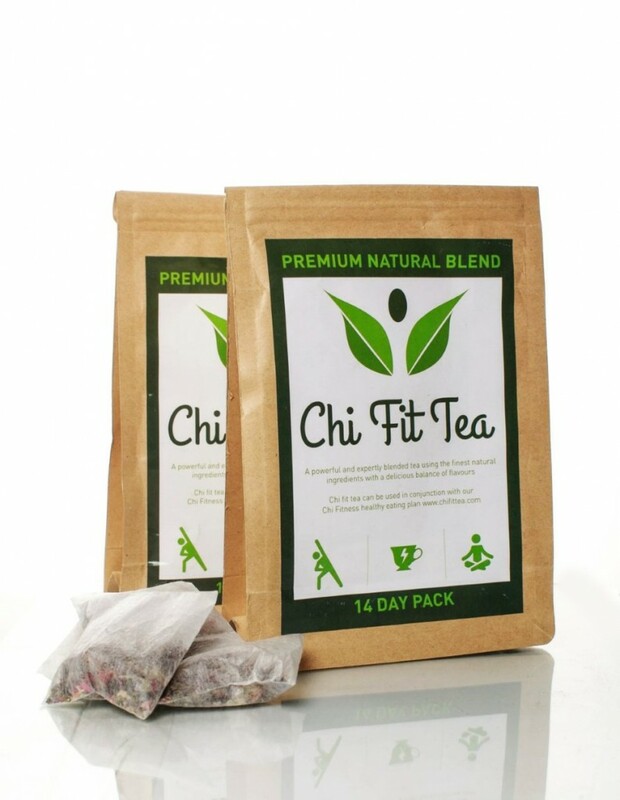 Now, Chi Fit Tea is composed of ten naturally powerful ingredients, full of naturally occurring properties that give drinkers an energy boost. This tea is great for pre-gym sessions, as the ingredients promote health and fitness benefits. On September the 8th and 9th, 2018, Dublin’s RDS will play host to the amazing Vitality Expo 2018, brought to you by Health Stores Ireland. 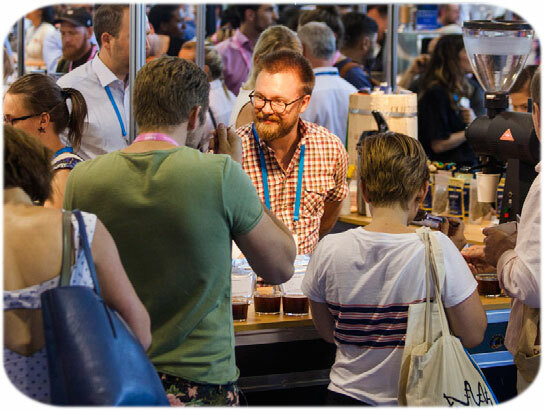 The Expo will be dedicated to all things health-related, with a diverse array of wellness, lifestyle, fitness and nutrition talks being delivered by Irish and international speakers and natural health brands. The Expo’s Vitality Stage will play host to Alison Canavan, Vivienne Campbell, Rachel and Hannah Dare, Dr. Robert Verkerk Ph.D, Phil Beard, Dr. Sarah Murphy, Jessica Hatchett and Fiann Ó Nualláin (a bestselling author, horticultural therapist and community gardening advocate). All of the talks will be hosted by nutritional therapist Jemma Kehoe. For a full list of confirmed exhibitors and speakers, make sure you check out their website below. 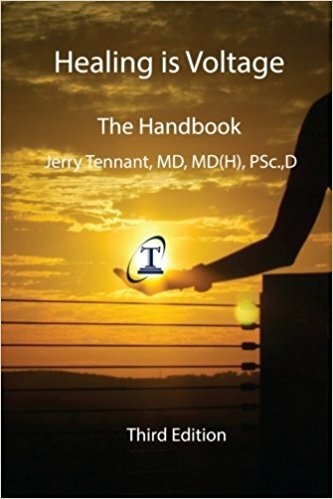 Dr. Jerry Tenant – a board-certified ophthalmologist in the U.S., who is now the director of the Tennant Institute for Integrative Medicine – has a revolutionary approach to healing that he outlines in his new book, Healing is Voltage. He explains that every cell in the body is designed to run at -20 to -25 millivolts. To heal, we must make new cells. To make a new cell requires -50 millivolts. Chronic disease occurs when voltage drops below -20 and/or you cannot achieve -50 millivolts to make new cells. Thus chronic disease is always defined by having low voltage. His book aims to tell you how to measure your voltage in each organ, how to correct it, and how to determine why your voltage may have dropped enough to allow you to get sick. 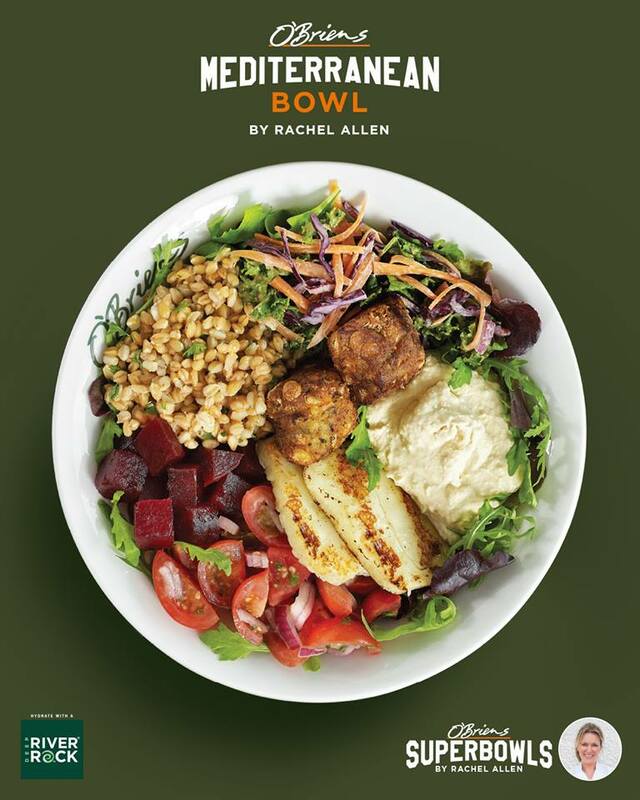 Well-known Irish café and sandwich bar company O’Brien’s has launched a new vegetarian Mediterranean Bowl – created with chef Rachel Allen and nutritionist Erika Doolan – and it looks delicious! The Mediterranean Bowl features grilled halloumi, falafel, spelt, kale slaw, houmous, Ballymaloe Foods beetroot, chunky salsa, rocket and mixed leaves. Pop into your local O’Brien’s and try it out today! 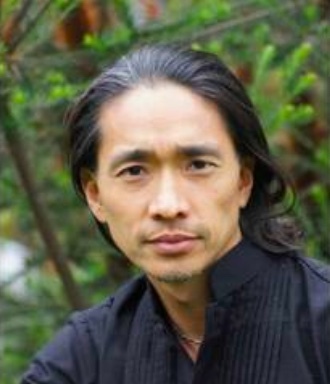 Venant Wong, an expert in Kundalini, movement and energy, will be joining us at Positive Nights from 7.00 to 9.30 p.m.on Thursday August 2nd in the Central Hotel, 1 – 5 Exchequer Street, Dublin 2. Venant will discuss his Kundalini Activation Process: a direct Kundalini Transmission that activates our own personal Kundalini Awakening process. Venant has trained with three Kundalini Transmission masters: Adi Da Samraj (Fiji), Ratu Bagus (Bali), and Pi Villaraza (Phillipines) – after which the capacity to activate the kundalini in others arose. He has been leading Facilitator Trainings & Immersions in this modality, as well as open sessions for groups & individuals in Asia, Australia, and now in Europe. Click here to learn more and book your tickets. 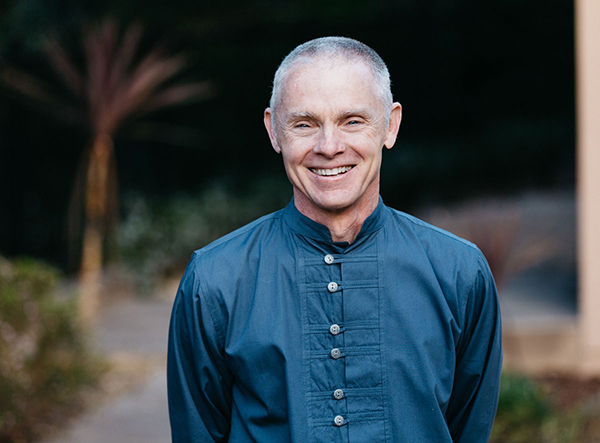 WIN Two Tickets to Adyashanti Teaching Event in Dublin! Adyashanti, the world-renowned spiritual teacher, writer and international speaker, who graces the front cover of our current summer issue, and who you may also recognise from his fascinating SuperSoul interview with Oprah (video link here), is coming to Dublin this August for a Special Intensive teaching event. This will take place from 11 a.m. to 6 p.m. on Sunday August 19th, in the Gibson Hotel, Point Square, North Dock, Dublin 1. The exciting news is that we have two tickets to give away to this incredible event! This competiton is being run on our Facebook page. All you have to do to enter is click on this linked post, comment who you would bring with you and why, then be sure to like the post and our page for a chance to win! The winner will be announced on August 17th. Good luck, Positive Pals! Kitty Maguire, a yoga teacher who – alongside a variety of musicians – specialises in offering ‘Yocella’ classes (yoga accompanied by the music of the cello) has another exciting event coming up this month at the Fleadh Cheoil in Drogheda, Co. Louth. 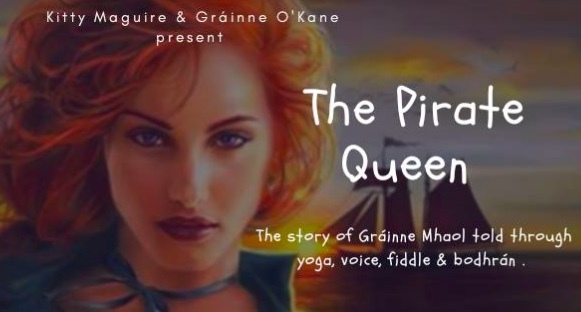 She is teaming up with fellow yoga teacher Gráinne O’Kane to tell the story of the historic Pirate Queen, Gráinne Mhaol, through the media of yoga, voice, fiddle and bodhrán. Gráinne will lead a Warrior of the Heart practice – inspired by hatha yoga – to fully embody the strength and resilience of the Warrior Queen. Kitty will then lead a Peaceful Warrior session, based on yin yoga. This will be a soothing practice of stillness throughout the body, to the sound of the bodhrán’s heartbeat, that will bring the Pirate Queen home. Kieran Gallagher will play the bodhrán and Ben McKenzie the fiddle. This event will take place on Monday August 13th, from 11 a.m. to 1 p.m., in St. Peter’s Church of Ireland Parish Hall, Drogheda. To learn more, check out the event page here. Lower your Cholesterol naturally with Food!